Avis is an American car rental company headquartered in Parsippany, New Jersey, United States. Avis, Budget Rent a Car, Budget Truck Rental and Zipcar are all units of Avis Budget Group. Avis Budget Group operates the Avis brand in North America, South America, India, Australia, and New Zealand. In 2011, Avis announced it was acquiring Avis Europe plc, which had been a separate corporation licensing the Avis brand. Since the late 1970s, Avis has featured mainly General Motors (GM) vehicles such as Chevrolet and Cadillac, but today also rents popular non-GM brands including Ford and Toyota. 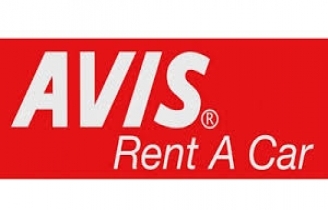 Avis is a leading rental car provider to the commercial segment serving business travelers at major airports around the world, and to leisure travellers at off-airport locations. Many of the off-airport locations are franchised operations rather than company-owned and -operated, as is the case with most airport locations. Avis was the first car rental business to be located at an airport. In January 2013, the company agreed to acquire Zipcar for $491 million.